Why do hijackers target these vehicles? While hijackers may target these vehicles for their cargo, they may also target them for the following reasons. To use the vehicle for other illegal purposes (such as for committing robberies, transporting explosives or other materials of destruction). For perpetrating various types of terrorist activities. These vehicles are commonly used in large urban areas and are therefore easier to hijack, less conspicuous and more likely to get past security guards at various businesses and industries. In short, these types of vehicles are vulnerable because it is ‘natural’ to see them in these locations. Do employee and contractor screening and background checks and conduct periodic updates of background checks. Increase the use of high quality seals and padlocks. Enforce a “no stop” policy for their drivers when possible, especially within two to three hours of the trip origin. Drivers should be trained to adhere to strict security measures to prevent hijacking. Be aware of safe areas in case you believe you’re being targeted. Do not assume technology such as your global positioning system (GPS) won’t fail. Park in secure areas with ample lighting. Carry a 24-hour emergency telephone number at all times. Know or learn the route, especially if it is a new one or has a drop-off location you’ve never visited before. Know the cargo, especially when carrying a potentially hazardous or high-value load. Check the load as it is loaded, to ensure that what is in the vehicle is supposed to be there. Inform the dispatcher of your route and then follow it. If the route changes you should inform someone. Remember, there is safety in motion. Be cautious when moving, but know the most dangerous times for hijacking are when your vehicle is stopped. Lock the vehicle every time you make a stop. Keep the trailer unit locked securely from the moment the vehicle is loaded. Lock the cab and roll up the windows when parked or in slow-moving traffic. Unlock the truck for as short a time as possible when you stop to rest, eat, or make a delivery. Only stop in designated rest areas where there are other trucks parked. Avoid stopping at the same places every trip. Do not stop to help motorists in trouble, but call for assistance. Don’t leave a vehicle at the customer’s dock. When making a delivery, don’t leave cargo on the street, even if is just for a minute or two. Keep the vehicle, license plate and Vehicle Identification Number (VIN) numbers of the vehicle on you at all times for both the tractor and trailer. This is valuable information to provide to law enforcement should the vehicle be hijacked. 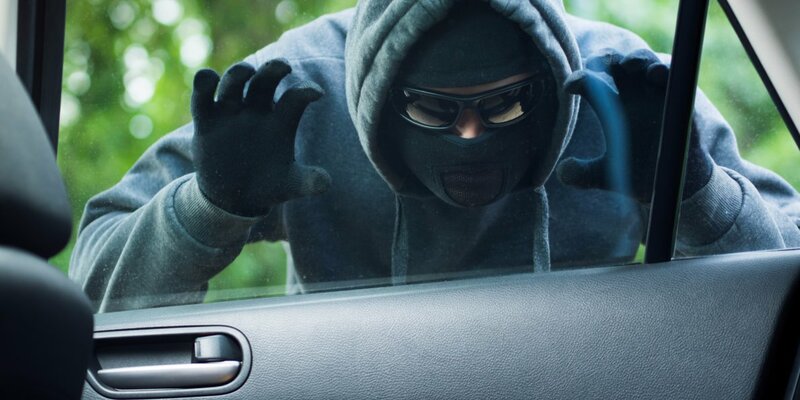 Always leave your window open by approximately 5 cm – if the window is closed completely, it is easier for hijackers to break. If you sense you are in danger, hit the button on your tracking device if you have one. Keep the position of your car as open as possible. Look for objects on the road and on bridges. Don’t drive over any cardboard boxes or plastic bags left in the middle of the road as these could contain cement or rocks and cause serious damage to the vehicle. You are then forced to pull over, putting yourself at risk of ambush alongside the road.